DWG Viewer for Windows XP - a tool to view the relevant files (supported DXF and DWF). A unique feature of the application is reading XREF. In the presence of many useful features, including zoom, separation of layers, 3D-scaling. The program is aimed at professionals using CAD-applications. The utility can be integrated into a web browser (working as a plug-in). Available option to open attributes of isolated blocks. 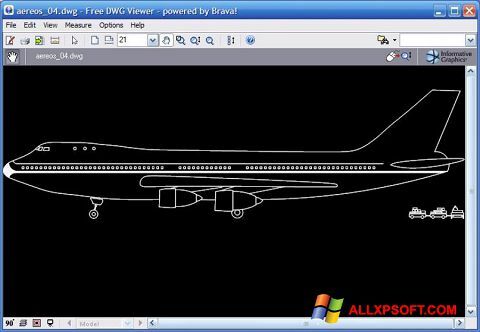 You can free download DWG Viewer official latest version for Windows XP in English.